There is that special feeling associated with knowing you are a part of something that directly increases the overall good in the world, and this is certainly a crucial reason people volunteer in any capacity. Volunteering abroad, however, is an entirely different cup of soup. Screw the free T-shirt from the benefit walk at the local high school track, you’re going to tackle poverty in the Philippines, build homes — not just houses — in the Amazon, and end the AIDS epidemic entirely. After you do all that, you’ll need to start planning a second trip. Really, I’m kidding. I’m only trying to highlight the idealistic naivety that gets people in trouble. Although tackling problems of the world is a noble one — one we highly encourage — there is a reality surrounding volun-travel that would be irresponsible not to share. 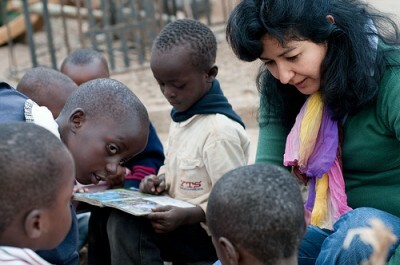 Recently at vagabondish.com, they shared a top ten list called “Things I Wish I’d Known Before Volunteering Abroad”. Often, articles like this seem to expose more of a realistic side of the endeavor, and keep that idealist at bay — at least a little bit. The article is a good place to start for anxious volunteers. The author touches on numerous aspects of the volunteer experience, offering suggested programs, existential and experiential advice, and follow-up tips that should be expected. However, I was struck with contemplation at some of the more poignant quotes throughout the piece. Below, in bold, are some of the thoughts and experiences that should be considered when thinking about volunteering abroad. “Of course, don’t ever compromise your safety.” This is in reference to the numerous programs that are available throughout the world. Remember, not every placement or program is for everyone — and do your research. “Don’t lose track of the expiration date of your tourist visa.” Getting a volunteer position doesn’t necessarily mean you have a job on completion. There are certainly ways to foster this: connecting with local businesses and organizations during your experience. Remember, volunteer travel isn’t always a one-way street. “Once you see emaciated children sleeping on cars at night, that you realize what true poverty and famine really mean.” Culture shock and truths that exist around the world aren’t always what you think or expect. There are many useful online resources that address topics as culture shock and foreign cultures. Remember, there are chances your situation is far more extreme than you could ever have imagined. “The ravages of AIDS aren’t going to end because I helped out for three weeks.” This is a fact that many need to accept — it’s terribly frustrating trying to climb a mountain of quicksand. Remember, you have power and an opportunity to help. If you reach a single person, maybe even a few, you are a success. “You are just another “white tourist” visiting a poor country.” Unfortunately, the organization is typically in an everlasting cycle of people just like you. In fact, the people or cause is used to experiencing a parade of tourists helping the cause. Don’t get frustrated when you feel you aren’t given the responsibility you expected or the respect you expected. Remember, every task is a piece of the puzzle; keep the larger picture in mind. Getting to know oneself through exploring a foreign culture is part of the process. It can be very personal and emotional. Experiencing a culture and its extremes can make you consider things about yourself that you would never have imagined. Remember . . . Despite everything, [you] will miss it afterwards. WWOOF (World Wide Opportunities on Organic Farms): Linking volunteers with organic farmers to provide more sustainable ways of living. Matador Change: Featuring regular articles on volunteering abroad. Transitions Abroad: Traveling, living, studying, teaching, and volunteering opportunities, resources, and reports from all over the world. The go-to site. Go! Overseas: Connecting people with volunteer, study, and teaching opportunities with articles and forums to help guide the way.